Shiny Pikachu coming to Pokemon GO to celebrate first anniversary of the game's launch? So how do you celebrate the first anniversary of Pokemon GO's launch? 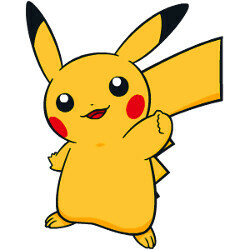 According to a report published on Wednesday, Niantic will use the anniversary to release a rare version of the most famous of all Pokemon, Pikachu. The Shiny version of Pikachu, which has been in the game's code for some time, will soon be part of the game. Shiny Pikachu will be just as hard to find as Shiny Magikarp is, and will sparkle when it appears in all its glory for players to catch. It's hard to believe that it has been a year since the launch of Pokemon GO. The release of the game led to the appearance of groups of smartphone sporting Pokemon GO players spending warm summer evenings out and about, searching for rare Pokemon. Nothing this successful in the world of mobile becomes so popular without ramifications for the future. In the case of Pokemon GO, AR got a real shot in the arm thanks to the success of the game. Pokemon GO launched on July 5th 2016 and quickly set numerous records for a mobile game including the most downloads by a new title in its first week. The game's success was even worthy of a notice by Apple CEO Tim Cook, despite his inability to grasp its name. Even though Pokemon GO has dropped off in popularity, those still playing will certainly be happy to hear about Shiny Pikachu. We expect an official announcement to be made first and this could happen any day now. Stay tuned.